With that in mind, we’ll catch you up on some of the coolest stories we’ve come across. At Paris Fashion Week, infiLED provided over 7,000 LED tiles to create a tunnel around the catwalk. The curved walls were accomplished by using a stacking and hanging system with angle couplers. AV Interactive has the full write up and video here. For the Los Angeles Philharmonic’s 100th anniversary, attendees were treated to an dazzling show in addition to the music. By using real time projection mapping on the structure, the concert was taken to a new level of immersion compliments of Xite Labs. BizBash has more here. 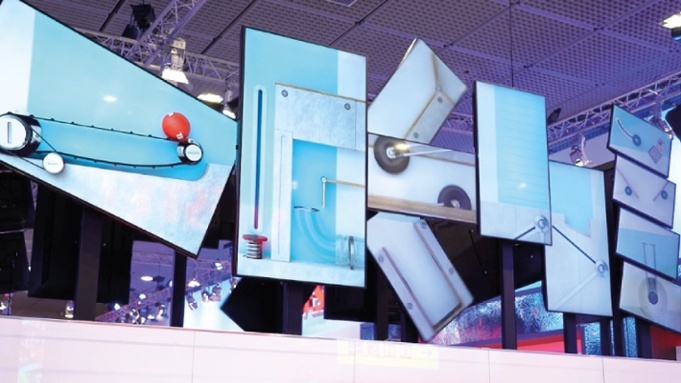 In addition to our LED ribbon being featured, Dataton has highlighted four other extremely creative booth designs. I’m pretty partial to the dancing screens myself!